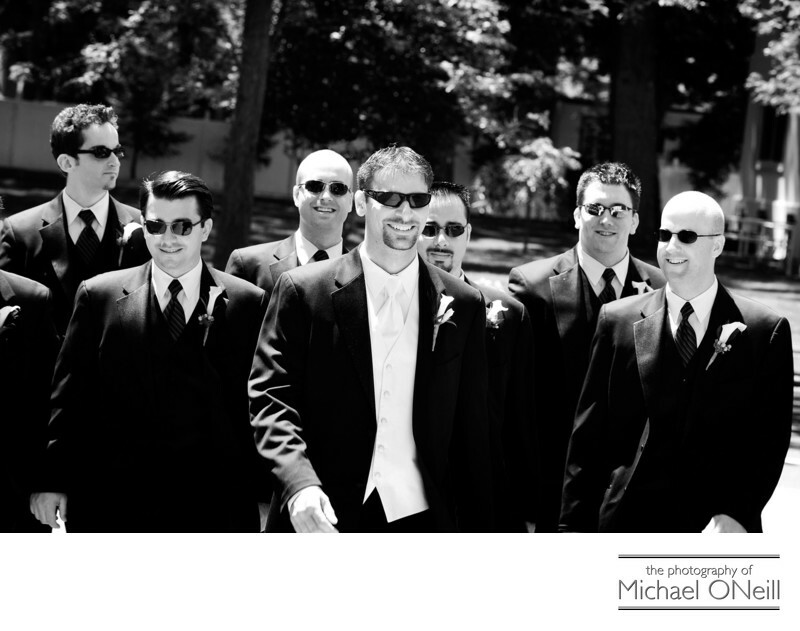 Gotta’ love this fun shot of the groom and his groomsmen & ushers arriving at church. This couple was blessed with such beautiful weather on their wedding day and you can just see the happiness on everyone’s faces. In a little while the bride will be escorted up the aisle on her father’s arm and the groom will see his bride in her wedding dress for the first time. After the wedding ceremony we will travel to their wedding reception venue, The Glen Cove Mansion in Glen Cove, NY for an elegantly catered event at one of Long Island’s most beautiful Gold Coast mansions. I love taking this type of candid photograph that captures the true emotions and personalities of the people pictured. Sure, there’s a place and a need for more formal pictures, but shots like this tend to really help tell the story of the wedding day. That’s what I am as a wedding photographer...a storyteller...and I give 110 percent on every assignment to insure that my clients get photographic memories that mean the world to them. If you would like me to tell the story of your wedding day give me a call at my Long Island studio and gallery to discuss your wishes for your big day.